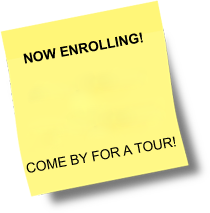 Now Enrolling! Limited spots Available. At Country Acres Child Development Center, we offer days packed full of activities. All of our activities foster physical, cognitive, social, emotional, moral and spiritual development. Our goal is for each child to enjoy the school experience with us and to be excited about learning. We encourage each child’s natural curiosity to begin him on the path of enjoying and appreciating the chance to learn throughout his life. Our School Age children also enjoy – Computers, Karaoke on our Big Screen TV, our Game Systems including: X-Box and Play Station, Board Games, and a daily curriculum packed with age-appropriate and engaging activities! You may click on the links below to see pictures of some of the activities that we provide here at Country Acres.